Emergency preparedness is a topic on the minds of many Canadians with all the disasters happening around the country. A question we get asked often is – what should I prepare for? The thing is, there is no one solution fits all and that we need to not get overwhelmed. There are many types of emergencies and we cannot lose focus. When getting emergency prepared, the main thing is to have enough supplies to survive the first 72 hours. It is recommended by most municipalities and provinces to have a week’s supply of food, water and shelter – But to have a minimum of three days supply. Have an out of town contact – This is someone away from the epicentre, someone who usually lives in another city or province. Know your neighborhood – There is many sides to knowing your neighborhood. You want to know where the hazards are, contact your local municipality to find out where the reception centres will be set up post disaster, what streets you will use in the event of an emergency and where you will get your information from during a disaster. Have a meeting place – In preparing with your family, you should have a 1st and 2nd Meeting place set. This is where the family will meet in the event of a disaster or emergency. The first thing we will do is grab our mobile devices which more than likely wont work and all we will want is our family. It is crucial to planning that we have meeting places set ahead of time. These are couple of things that should be included in your emergency plan. For more information on emergency planning visit GetMyKit.ca. When it comes to the kit, like we had said earlier – you should have a minimum of 72 hours worth of supplies for all family/household members. This is recommended by all levels of government in Canada. 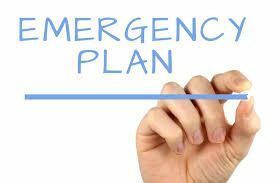 Municipal, Provincial and Federal government all recommend Canadians to be emergency prepared for a minimum of 72 hours. GetMyKit Emergency Kits have enough food and water to sustain you for 3-5 days. In addition to the food and water – also Included in our kits are blankets, tents, crank flashlight, radio, light sticks, matches, first aid, gloves, hand & body warmers, heating mechanisms, can openers, a stove and much more. To view a full list of our emergency kits, visit GetMyKit.ca/shop.